Halcyon recently designed a Payload Adapter System for the space industry in aluminium honeycomb. This conical structure supports spacecraft on space launchers. 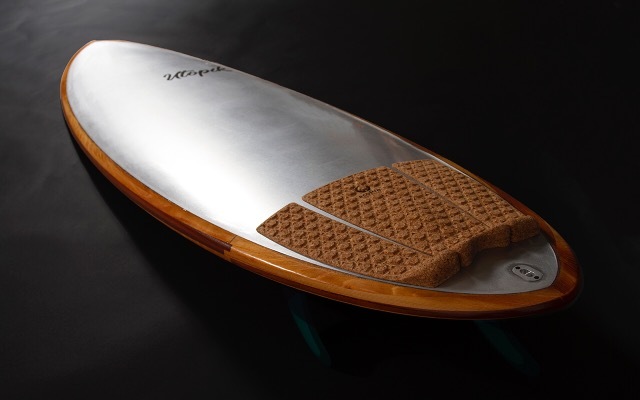 Metallic sandwiches are an alternative solution to carbon fibre composite pieces. They are light, resistant and affordable. Made of aluminium sheets bonded on a lighter material which is aluminium honeycomb, such pieces have high mechanical properties. 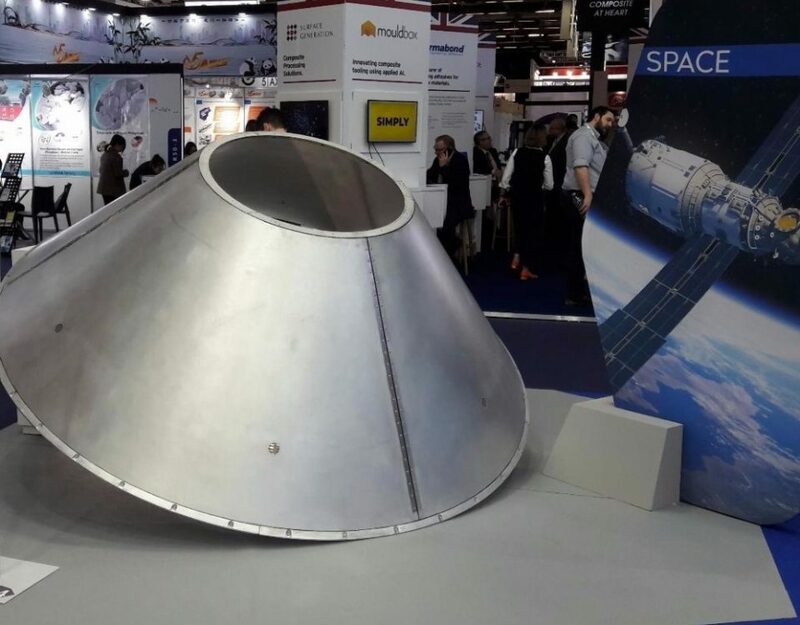 Halcyon has developed, in collaboration with the CNES (Centre National d’Etudes Spatiales), a Payload Adapter System in aluminium honeycomb. The aim is to compare this technology to the current one: a cone in carbon fibre composite. 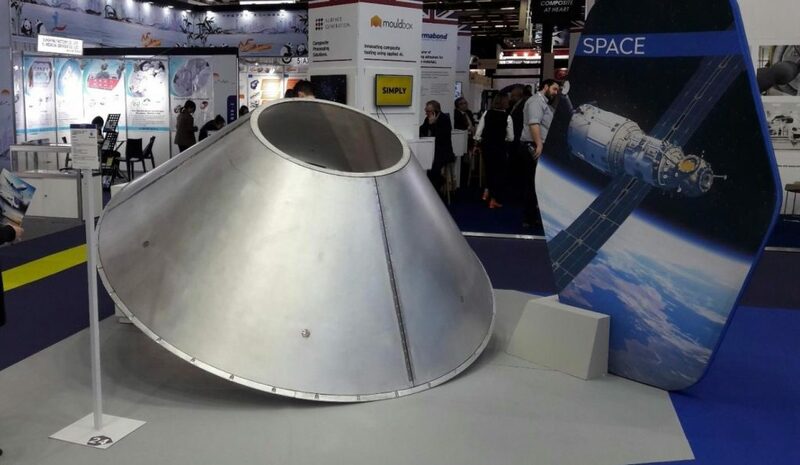 The Payload Adapter System displayed is composed of aluminium sheets of 1,5mm of thickness and an aluminium honeycomb core of 30mm of thickness. First, Halcyon’s solution presents a 15% mass gain with the same mechanical properties (stiffness, high resonance frequencies, buckling, traction and compression). For the space industry, saving mass improve the operational life of the spacecraft: 1kg saved on the launcher is 1kg of ergols more, the spacecraft lifetime is improved. Another advantage of aluminium honeycomb structure is the economical aspect, raw materials, manufacturing speed and production costs are significantly reduced. From prototypes to mass production lines, sandwich structures are more affordable than carbon fibre composite pieces. For example, concerning the raw materials before processing, carbon fibre is approximately 18$/kg and whereas aluminium is 2$/kg. The piece has been developed thanks to Halcyon’s patent and know-how on aluminium honeycomb forming. Double curvature shapes can be made thanks to aluminium honeycomb forming for the core and aluminium forming process for the sheets. Halcyon has the head in the stars ! We produce for the space industry. 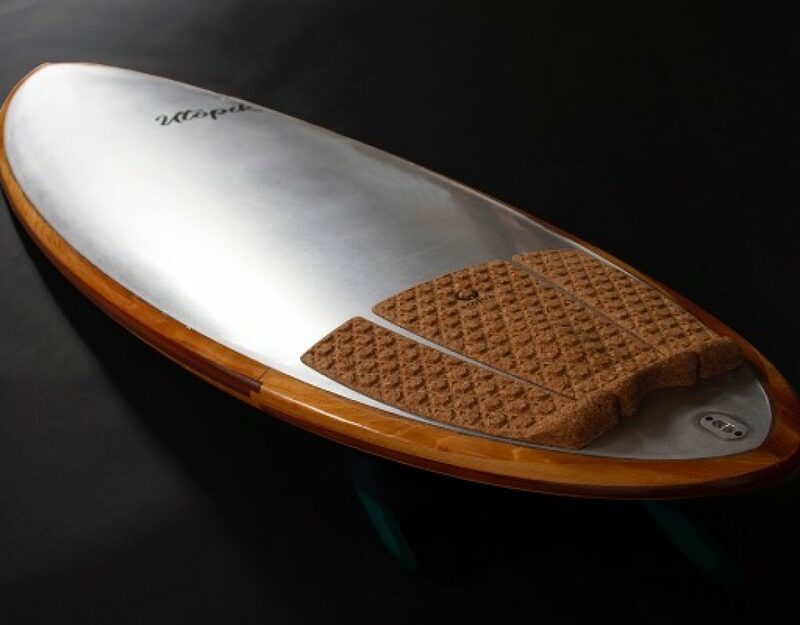 Halcyon produces the first surf in aluminium honeycomb in the World !